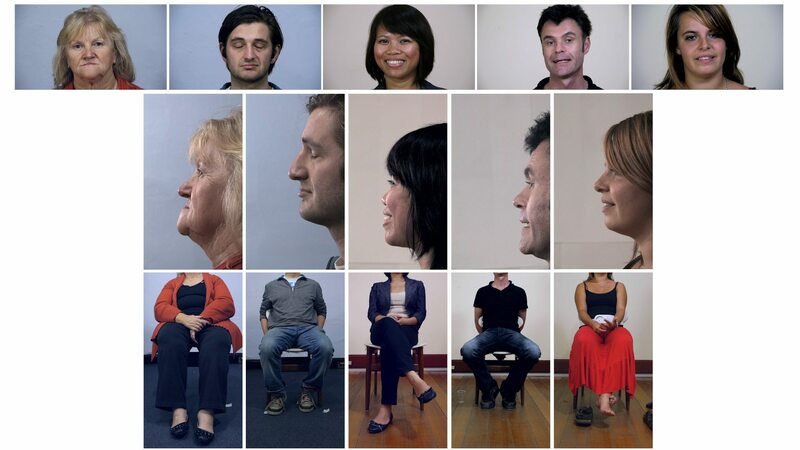 Image credit: Denis Beaubois, The Division of Labour, 2012, three channel synchronized video, duration: 35 hours. Image courtesy of the artist. 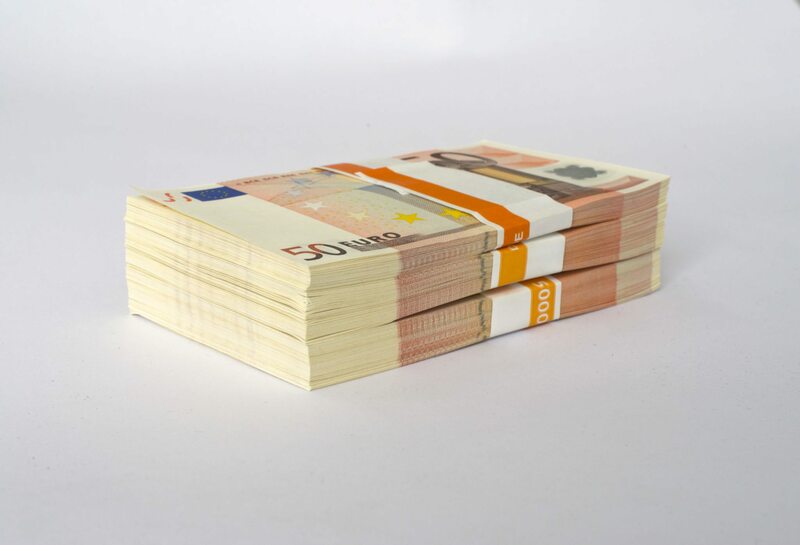 Image credit: Denis Beaubois, Currency release #2, 2013, a series of 280 new uncirculated 50 Euro bills with recorded serial numbers. Image courtesy of the artist. For the first time in Australia, the exhibition Bound by Time brings together the major works by Sydney based artist Denis Beaubois, which cover the complete ground floor of the newly refurbished Latrobe Regional Gallery. Created between 2011 and 2017, this seminal solo exhibition represents the most wide ranging public presentation so far, by this internationally active artist . Underpinning the exhibition is the Currency project. This major project looks at the charged relationship we – as a society – have with money. It elicited a scandalised media reaction when first created. From the precarious nature of state sponsored art funding, to validation of artistic merit from the art market, the artist borrows from the worlds of economics, capitalism and conceptual art (ideas based art). In the Currency project, Beaubois has created complex gallery based environments which combine photo, video and documentary material using a variety of media. Other parts of the LRG ground floor present works titles No longer adrift, (composite territories). These reference the theme of migration and displacement, questionable notions of settlement and assimilation. Exploration of these complex matters occur through the use of humble commonplace materials and everyday actions by the artist, friends and his family; in sometimes absurd and innocent public performances. Denis Beaubois’ practice is idea driven rather than tied to a specific medium or material. His past work has addressed various themes including that of migration & displacement, surveillance, and economics. Denis Beaubois’ projects have been presented internationally at The TATE Modern (London), San Francisco Museum of Modern Art (San Francisco), Museum of Contemporary Art (Cleveland), Museum of Contemporary Art (Sydney), Zero One Biennale (San Jose), Museum of Contemporary Art (Taipei), SCAPE Biennale of Art (New Zealand), Rencontres Internationale (Paris, Berlin), Koldo Mitxelena (San Sebastian) and Transmediale (Berlin). In 2013 he exhibited at Ryan Renshaw Gallery (Brisbane) and Artspace (Sydney), whilst recently he has showed works at the New Media Gallery in New Westminister and Art Souterrain in Montreal. He has received numerous awards for his works most notably winning the 1998 Bonn Videonale (Germany), and receiving the Judges special prize for the Internationaler Medien Kunst Preis 2001, ZKM (Germany). Denis Beaubois has also trained and worked as a performer and was a core member of performance ensemble Gravity Feed for 12 years. He was also a member of the Post Arrivalists and has performed with Japanese company Gekidan Kaitaisha in the Drifting View X, in Tokyo. He holds an MA in photography and performance as well as an MFA in Time Based Arts from COFA, UNSW. This exhibition has received assistance from NETS Victoria’s Exhibition Development Fund, supported by Victorian Government through Creative Victoria.